19 July 2018. Cork. Press release. 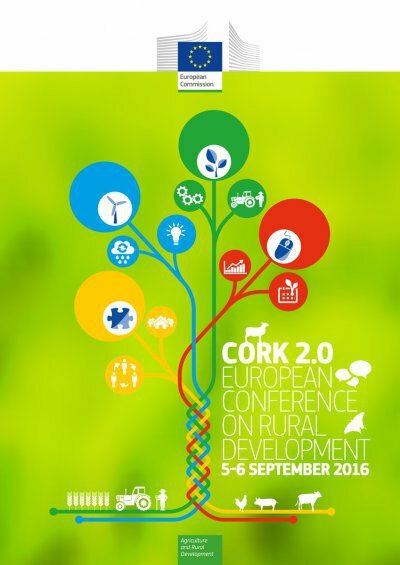 CEETTAR welcomes the release of the new Cork Declaration on rural development, following the two-day conference during which it actively promoted the interests of the land-based contractors of Europe. Sustainability and attractiveness of the rural areas: it all starts and ends there. By identifying priorities such as jobs, growth, environment, climate and innovation, the new Cork Declaration aims at ensuring rural vitality and a better life in rural areas in strong and uniting words. This implies the implementation of very diverse objectives: from modernising the infrastructures and the services, investing in the future generation, supporting business development, ensuring income earning activities, dedicating more efforts to the environment, mainstreaming the identity of rural areas, to better targeting the objectives and simplifying the measures. “Land-based contractors are committed to the development of the area where they are operating in. Both attractiveness and sustainability of the rural areas are part of their daily concerns. For that reason, we are pleased by this declaration” said Klaus Pentzlin, President of CEETTAR. “A better life in rural areas is the right slogan: Investing to help the young generation stay, live and work is urgent” he added. In a period of strong social, economic and political crisis and a sadly widespread distrust in the European Union, it was crucial to demonstrate the added–value of the European rural development policy. The debate generated by the Cork Conference allowed the elaboration of a forward-thinking new Cork Declaration. The presence of very different stakeholders stimulated the exchange of views and provided for a comprehensive reflexion. “Our presence in the conference was a positive signal. It showed the interest from the European Union side to listen to all opinions. It demonstrated that our efforts to explain the contribution of contractors to farming, forest and more generally to the rural economy were paying off” added Eric Drésin, Director of CEETTAR. Now that the policy orientations are set, it is necessary to continue consulting all the stakeholders to ensure the effective operational deployment of this comprehensive blueprint. Efficiency requires an integrated approach, taking into account the diversity of territories as well as of the actors. “Land-based contractors play different role in rural areas, supporting farming, providing “green services”, offering highly qualified workplaces, helping having thriving economy and community. They are ready to actively support the achievement of the rural development priorities” concluded Klaus Pentzlin.